This continues my series on the cross of Christ and prayer. 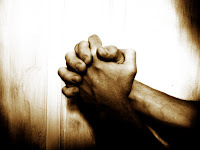 I previously posted on how the cross of Christ gives us access to God in prayer, and how the cross shapes our prayers in praying for other over ourselves. It’s not necessarily wrong to pray about worldly concerns. Paul says not to be anxious about anything, but to pray about everything (Php 4:6) – including “ordinary” things like illness, exams, and work hassles. We pray to the sovereign Lord of the universe (Is 40:12-31), who feeds the birds and clothes the grass, who knows what we need (Matt 6:25-34); who created, owns and controls all the resources of the world (Ps 50:10-12; Haggai 2:8); and who governs everything for the good of those who love him (Rom 8:28-30). But, we must be careful not to be self-obsessed and self-pitying in these prayers. Jesus went to the cross in obedience to the Father, at great personal cost (Is 52:13-53:12; Matt 26:36-46 & parallels [Gethsemane]; Php 2:5-11). He didn’t receive his reward in this world; he only received it in his glorious resurrection, which prefigures the new creation (Php 2:5-11). Similarly, we must be focused first on God, not ourselves. The first three declarations in the Lord’s Prayer are directed towards God (Matt 6:9-10). Only after that do we turn to our own needs (Matt 6:11-13).